Whether you are moving to a new house or renovating your old apartment, buying new furniture to fit your abode can be expensive. Instead of spending dollars on new furnishing, why don’t you recycle existing household items into some aesthetic and practical units? DIY furniture projects are meant to create simple pieces of decor with little to no cost. With little creativity and skills, you’ll be able to build crafty home decor accessories as well as furnishings out of recycled materials. Here are five simple but effective recycled home decor ideas that will be beneficial for those who are handy with tools and want to add unique charm to their home or office interior. If you’ve a damaged or unused suitcase lying in your home, then don’t just throw it away. 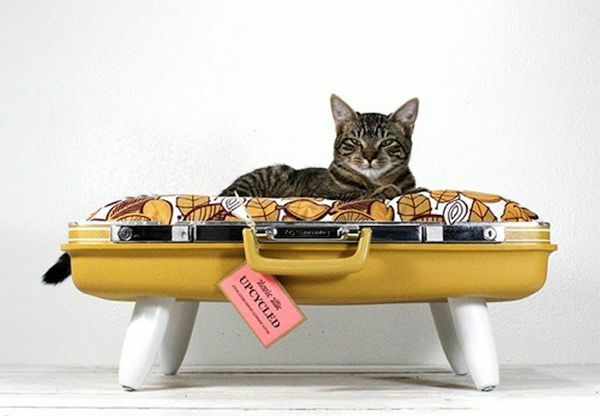 Instead you can use it to create a cool and comfy pet bed for your felines or canines. All you need to do is just detach its upper lid movable lid, add comfy cushions and blanket to the lower half of the suitcase. This way you can make a comfy bed for your cat or dog without spending big bucks.If you’ve two little dogs or cats in your house, then there’s no need to remove the upper lid as well. Just open it and add cushions on both sections to form a cozy pet bed for two. You can collect reclaimed oak barrels that are discarded by most wineries. With these discarded pieces of wood you can create a robust yet elegant seating unit for home. Although collecting recycled wooden planks won’t cost you a penny, but you must be well aware of the carpentry skills to create functional furniture units. This would be a fun addition to any bachelor’s pad or any individual looking for small seating units, but without spending too much money. So, what you can do is get some discarded storage crate from a general store near you. To make it look like a regular piece of furniture, you can add four small pieces of wood to serve as legs. For extra comfort, add cushions on the seating portion. 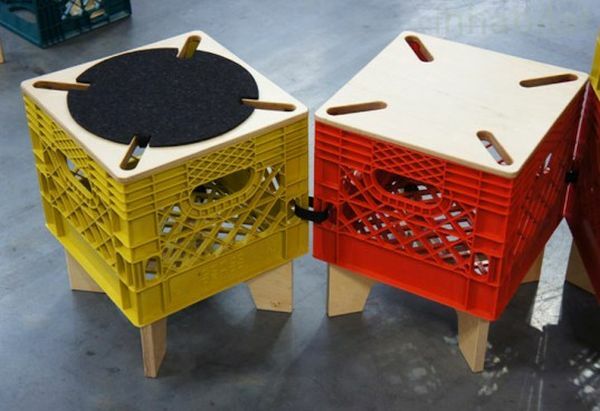 This way you’ll be able to form a colorful, attractive piece of furniture for indoor or outdoor sections of your home. 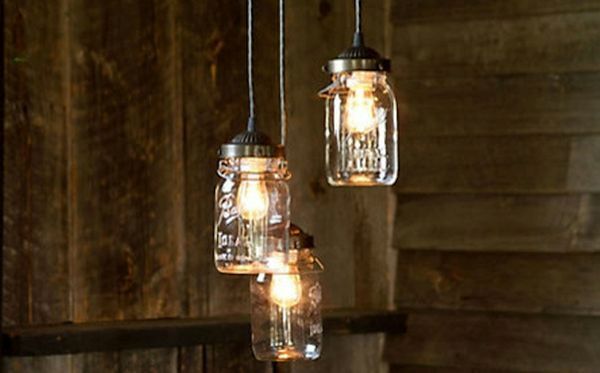 Mason jars are a pretty good choice for creating DIY lamps or hanging lighting fixtures. You can easily turn them into simple or colorful lighting units, but you need a little creative nerve within you.All need for this project are few Mason jars (simple or with some etching), light bulb and cord. Now attach electric cord with light bulb, place it within the glass Mason jar, and leave the long end of the cord hanging outside the cover lid. Using the extending cord, you can hang these pleasant lightings from any ceiling, where inside or outside your home. You can even make an attempt to make comfortable and functional chairs out of nothing but seatbelt from a car. Well. We’re not saying just rip off seatbelts from your car or from any friend’s car. Just visit a lock junkyard, and collect as many unused seatbelts as you can. First, you need to shape a firm structure of a chair using steel rod frame, which is welded and further powered coated.Now, firmly wrap seatbelts around the frame to form a strong seating area as well as back rest. 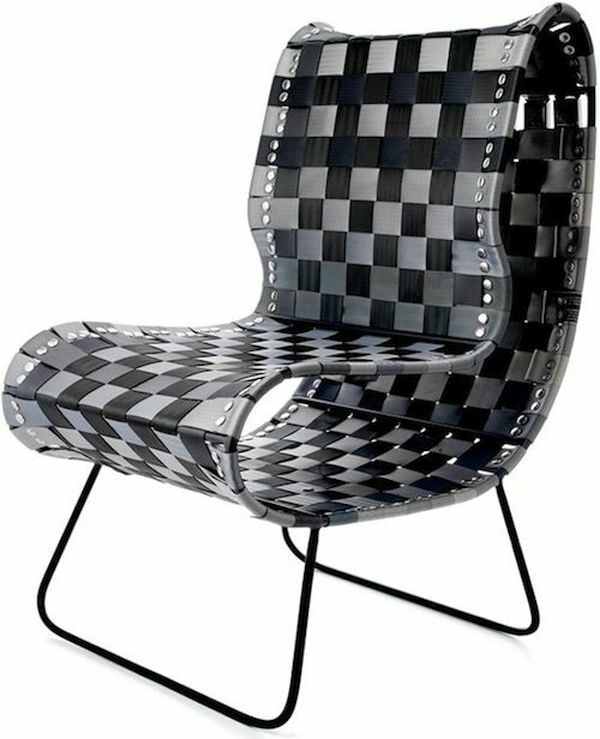 Using light and dark colored seatbelts, you can form eye-catching contrasting design pattern on the chairs. 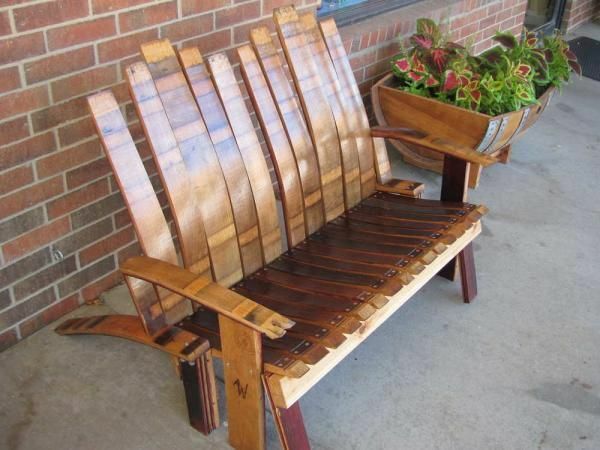 From furniture to lighting fixtures, these DIY furniture projects will indeed allow different individuals to make use of unused materials that mostly end up in trash.